The ideal way to provide yourself with peace of mind, our air conditioning service contracts are designed to ensure your system is efficient, reliable and cost-effective to run. Our services are available to commercial, business and residential customers throughout Chessington and Leatherhead and cover all aspects of air conditioner maintenance, installation and repair. A planned preventative maintenance contract offers an important way to prolong the life of your air conditioner system and help to reduce energy consumption. Air conditioning servicing is important for all types of system, especially those in commercial properties, restaurants, bars, offices and schools. Residential air conditioning systems can also benefit too and by ensuring your system is serviced at least once a year, you’ll provide yourself with peace of mind. If an air conditioner isn’t serviced dust and bacteria will quickly build up inside the system, resulting in poor air flow and reduced efficiency. Whilst it’s relatively simple to change the filters yourself, professional servicing is required to ensure all parts are clean and free from dust and bacteria. 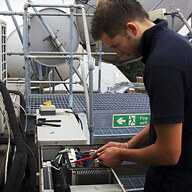 Regular servicing schedules designed to meet our customers’ individual requirements. Whether your system needs servicing annually or four times a year, we’ll develop a service schedule tailored to your needs. Bespoke servicing schedules available, designed to meet the requirements of residential landlords, retail landlords and letting agencies. Our service and maintenance contracted clients benefit from reduced labour charges and guaranteed call out response times; with a four hour response time for critical cooling systems and an eight hour response time for all other systems. Our team of engineers are all highly trained and experienced, working to schedules and checklists to ensure each air conditioning unit is thoroughly serviced and maintained. For your additional peace of mind we only use manufacturer approved parts and are REFCOM F-Gas certificated whilst our engineers are City and Guilds qualified and have had all relevant Safe Handling training and certification. Uniformed, polite engineers who will treat your property with care and respect. 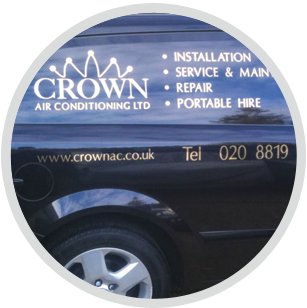 Crown Air Conditioning is a long-standing reputable company with many years of experience of working with business, residential and commercial clients in Chessington, Leatherhead, Surrey and throughout Greater London. Here at Crown Air Condition we offer a range of cost-effective services, designed to meet the requirements of all types of air conditioner system. If you are considering installing a new system, our installation service is suitable for retail, commercial and business customers, providing a wide range of systems for all requirements. Our repair service is fast and efficient, with fully trained engineers on hand to ensure your system is up and running again with the minimum of fuss and disruption. 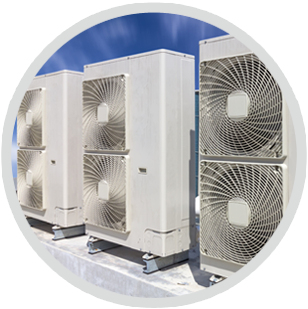 In addition, we also offer an air conditioner system hire service, ideal for those times when you need all the benefits of air conditioning but don’t want to invest in buying a system. 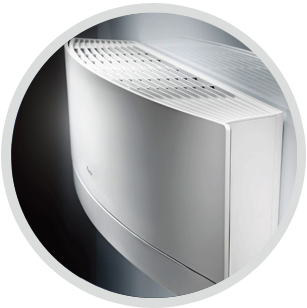 Crown Air Conditioning are specialists in the servicing, repair and installation of all types of air conditioner systems, with expertise in working with well known brands including Daikin, Mitsubishi, Panasonic, LG and more. To find out more about our air conditioning service contracts in Chessington and Leatherhead, please call 01737 668310 to arrange for a free, no-obligation quotation.